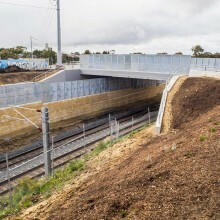 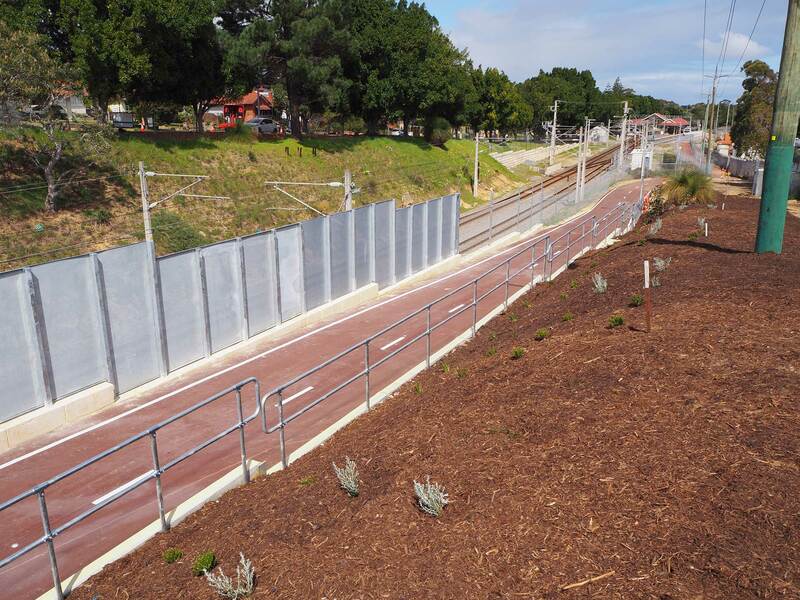 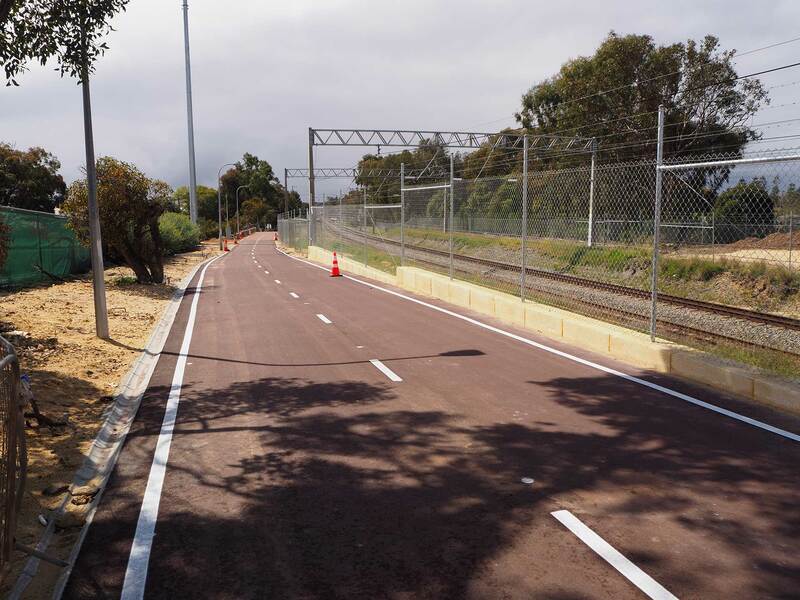 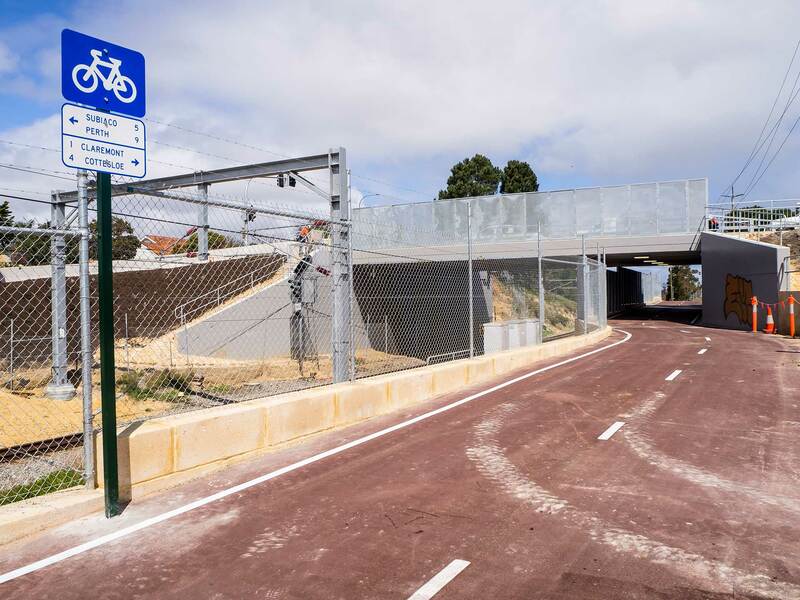 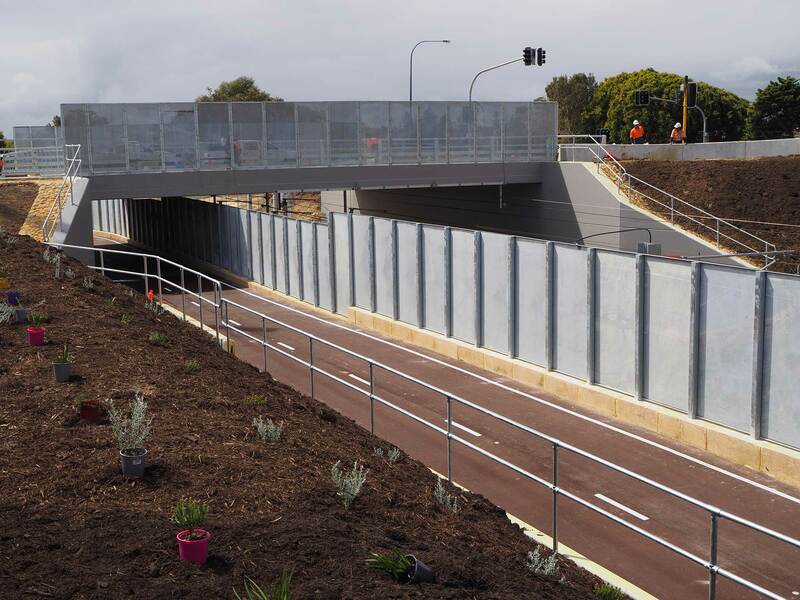 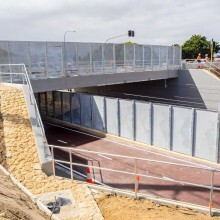 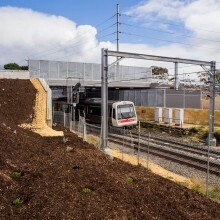 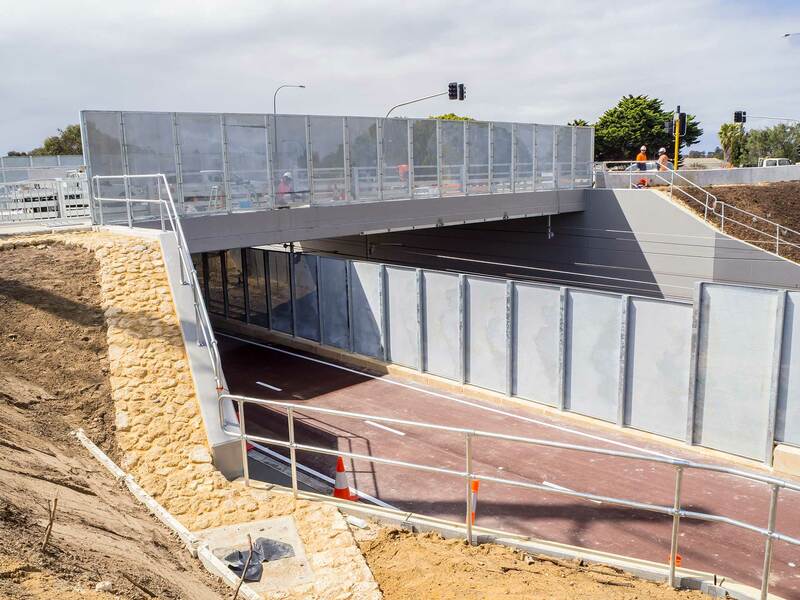 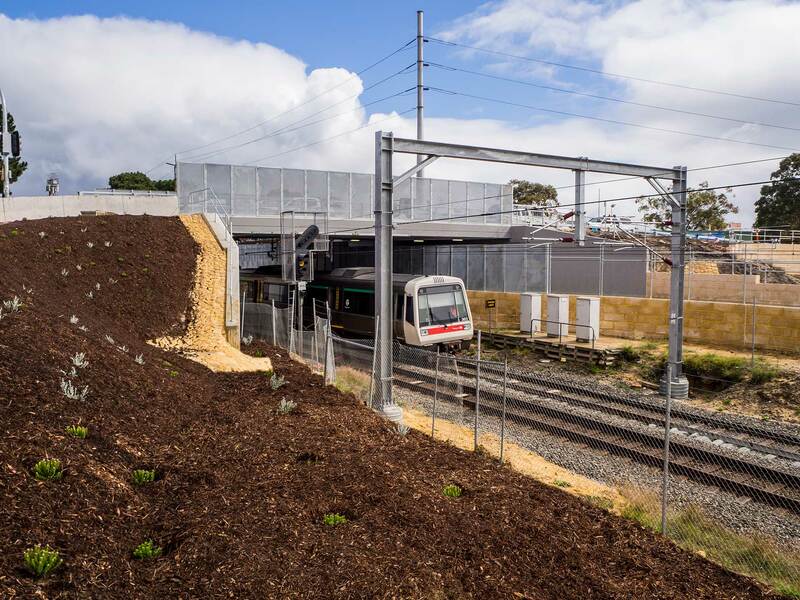 As part of a Main Roads WA & PTA upgrade of a 100 year old bridge in Claremont, Stonecivil was tasked with building a large section of wall up against the existing and live rail corridor. 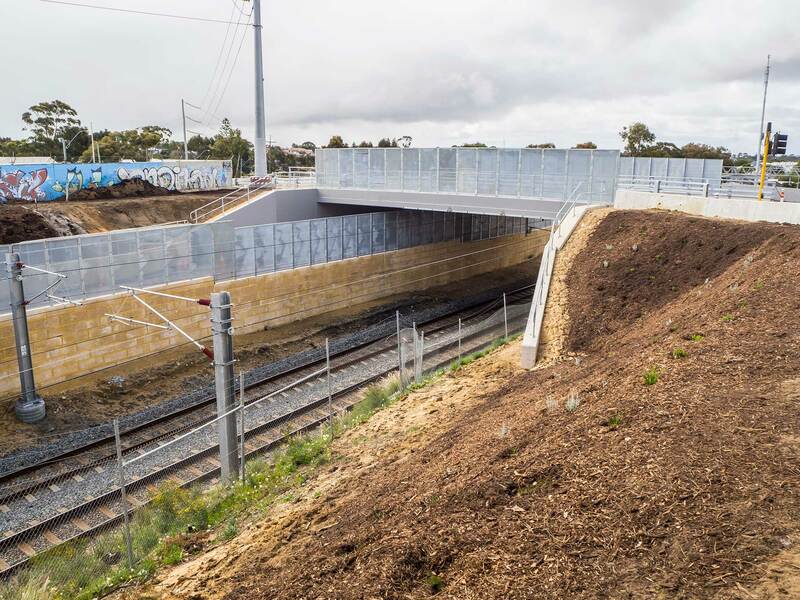 Due to the confines of the project site we had to engage an excavator to lower the blocks & mortar into position for the majority of the main wall. 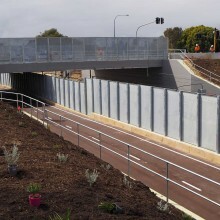 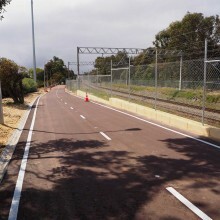 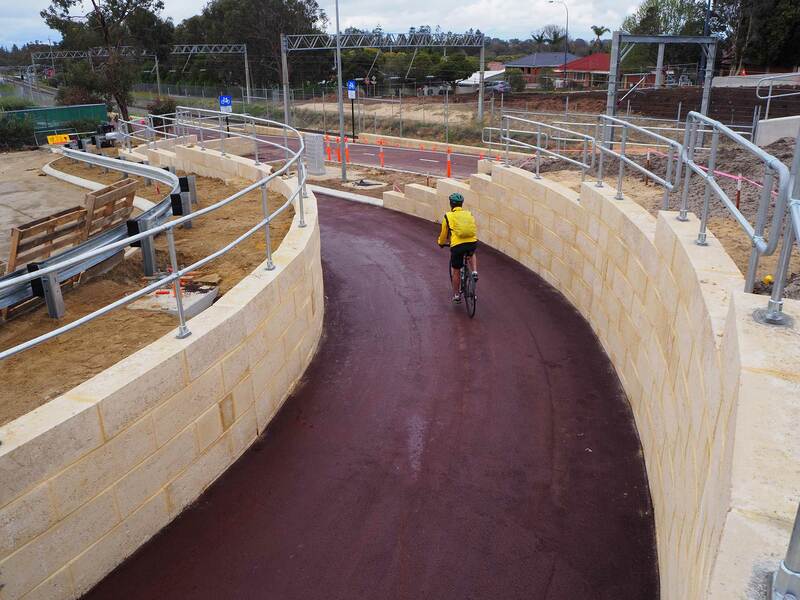 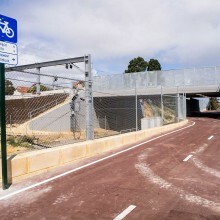 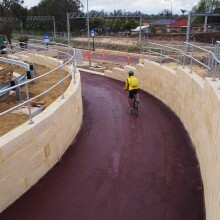 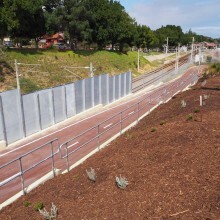 The remainder of the walls were curved to accommodate the new dual use path which links the existing path to Ashton Ave, on the doorstep of the Claremont Showgrounds.